Design an 8-pan palette case with any eyeshadow or blush. The emp..
Accentuates eyes with colors that wear well and stay true. .. 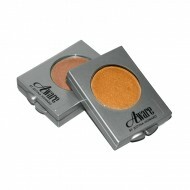 Revolutionary half-moon shaped adhesives block unwanted eye makeu..
Add any choice of eyeshadow or blush color. ..